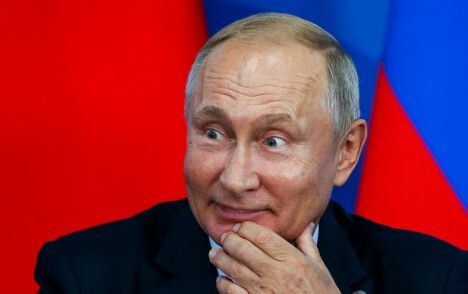 With a decree by Russian President Vladimir Putin, Moscow has suspended its obligations under the 1987 Intermediate-Range Nuclear Forces treaty, citing the pact’s violations by the U.S. as the reason. Washington was the first to give notice of its intention to withdraw from the INF earlier this year triggering a situation for it to terminate in six months, Moscow does not return to compliance. Russia has denied any breaches, and has responded by accusing the U.S. of violating the treaty. Washington has alleged that Russia has been developing and deploying a cruise missile that violates provisions of the pact that ban production, testing and deployment of land-based cruise and ballistic missiles with a range of 500 to 5,500 kilometers. Russia, however, has stated that the U.S. has violated the pact by deploying missile defense facilities in eastern Europe that could fire cruise missiles instead of interceptors. The claim has been denied by the U.S.